Anyone who spends time with me will know I am a bit of cleaning freak – there’s nothing better than taking something grubby and scrubbing it back to life. 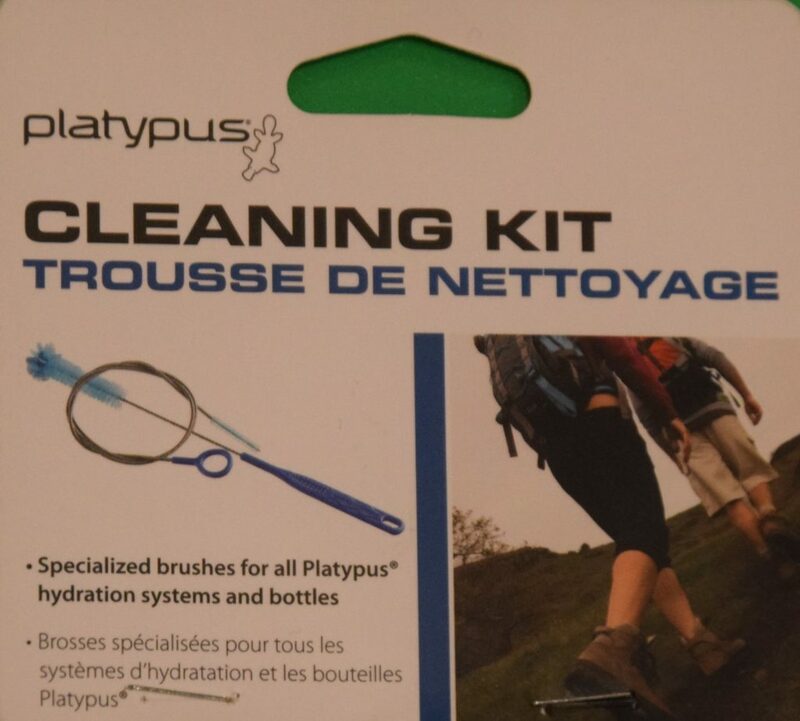 So when it came to reviewing the Platypus Cleaning Kit for Bladders and Bottles, I was the obvious choice. My challenge? Clean Tim’s festy bladder and bring it back to a hygienic state. Now that might sound like a simple task but let me say very clearly, it wasn’t. I had tried a few options and lots of soaking but nothing was working. And before I go on I should defend myself and maybe even Tim, by saying that its not my job to clean up after him but the simple fact is that I care more about the hygienic state of our, his gear than he does! So back to the task – Tim’s bladder had black mould in all sorts of tricky spots and I didn’t have anything on hand that fitted into the nooks and crannies. The long cleaning bush was great for getting into tricky places. You do need to rotate the brushes for the best clean. The extra long flexible brush with the tiny bristles can be threaded through any hydration hose. When I was writing this review I stumbled on some comments made by a couple of people who said that the product didn’t have any instructions – maybe I’m a little old fashioned but to clean something all you do is stick in a brush that fits and juggle it around. And that’s exactly what I did. If you search hard you might find some cleaning brushes that work as well but I prefer to spend my time hiking instead. The long handled brush is great! 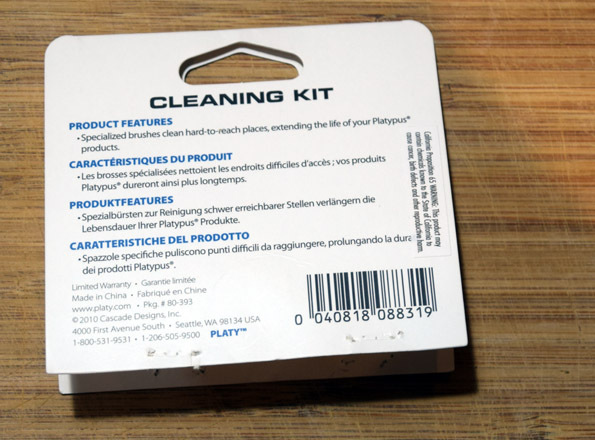 You can purchase the Platypus Cleaning Kit in Australia from Wild Earth. Please note our affiliations don’t influence the independence of our reviews. If we don’t like something, you’ll be the first to know.